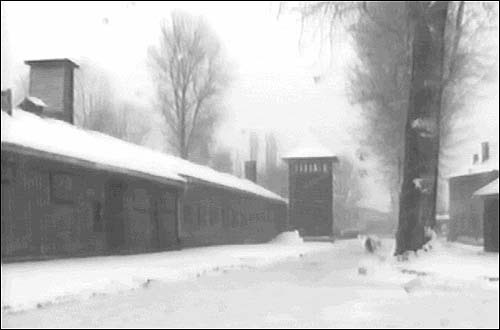 A bleak view of the concentration camp. 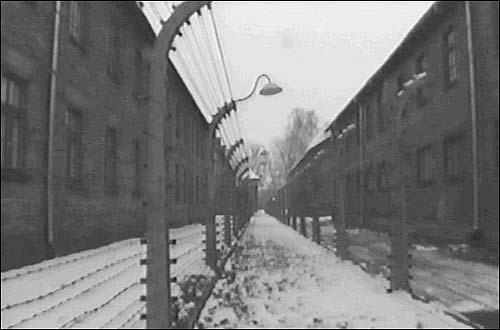 Electrified fencing totally surrounds the camp. 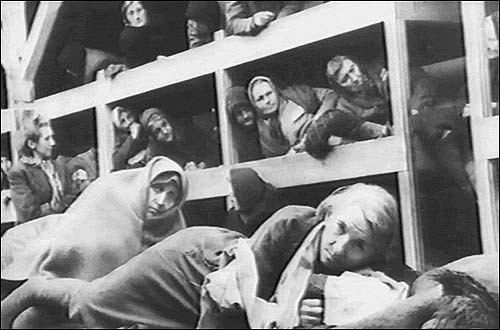 Crowded conditions in the camp's huts with four sharing in every bed.